The insurance industry is yet to fully respond to the seismic importance of Millennials, a generation of digital consumers now aged from around 18 to 35. Insurers have recognized the apparent lack of insurable assets in this group but have paid too little attention to their novel consumption habits, which will persist as Millennials get older and richer. “Ownership of insurable assets among Millennials is low due to the economic landscape they have grown up in, making it hard to save. They are interested in car sharing and telematics-based policies to save cash, and prioritize holidays and short-term experiences as opposed to longer-term goals” - Danielle Cripps, Financial Analyst. That may worry some incumbents, though Insuretech innovators have been quick to respond by offering flexible on-demand cover to renters for their valued possessions and trips abroad. But the characterization of this generation as asset-poor “nomads” can be overplayed. In fact, they have shown themselves surprisingly sensible about money with low levels of personal debt and a great record for goal-driven saving. With Millennials now representing the largest living generation, they are also about to become recipients of the largest wealth transfer in history, with around $30 trillion changing hands soon. And while they might have put off having children and buying houses, most won’t do so indefinitely. They will end up with the same financial responsibilities as their seniors. So where is the real seismic change for insurers? It lies in Millennials’ consumption habits and attitudes. Not so much what they consume, but how they choose to consume it. This is a generation with an “on-demand” tech-savvy lifestyle that has systematically reshaped countless industries including music, travel and entertainment. Millennials respect no boundaries. And they won’t be stopping at the financial sector, even if their impact has been somewhat delayed. The so-called API revolution, advocated by the likes of Chris Skinner, is beginning to pull down the walled gardens of the banking industry. It won’t happen overnight, but the ability for third-party apps to connect securely and seamlessly with different financial institutions is effectively unbundling service and supply. We can expect the same in the insurance industry, as a generation with increased financial clout takes advantage of the increasing choice available on market-leading platforms. Usage-based insurance is important, not just because telematics is making insurance cheaper and driving habits safer, but because it reflects a major attitudinal difference between Millennials and their predecessors. While Baby Boomers and Generation X-ers may be reluctant to share real-time driving data with their insurers, Millennials have adopted telematics with enthusiasm, seemingly without the privacy concerns exhibited by others. Research has shown that nine out of ten of them would be willing to pay for services like stolen-car tracking. The willingness to share personal data from wearable devices is part of the same trend, as is Millennials’ openness to sharing data from connected devices around the home, Put simply, this is a generation generally willing to share data and deploy new technology to secure the best deals. Baby Boomers and the Generation X-ers have dominated the thinking of incumbent insurers with good reason – they are wealthy segments who continue to provide business and at least a degree of loyalty. But Millennials are the future, and they are different. This is a generation unafraid of experimenting with technology and untethering themselves from old, inflexible institutions. In a warning shot to incumbent insurers, a 2017 survey concluded nearly half of American Millennials would consider buying insurance services from the big-four digital brands – Google, Apple, Facebook or Amazon. Nearly three quarters suggested they would take financial advice from them. The same survey concluded that personal relationships and traditional insurance brokering were no longer that important to buying cover: 74% of respondents said they were willing to receive robo-advice on the topic. Millennials want the best deal, or the best experience, and they are willing to trust disruptors over incumbents. This is the real challenge of the Millennial generation. With the end of loyalty, insurers will need the right data and digital offerings to win the insurance customers of the future. 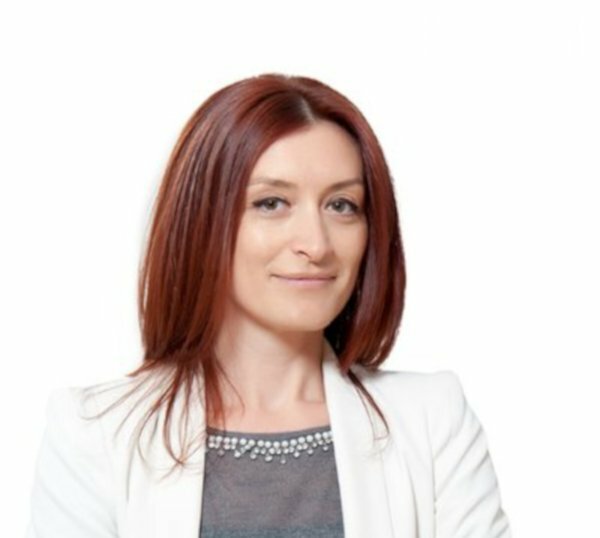 Angelika has over 19 years of experience in the B2B marketing and is truly passionate about marketing in a global environment. With her, she brings a profound interest in disruptive technologies and the world of tomorrow, along with an insightful knowledge of future market trends and digitalization.